Dr. 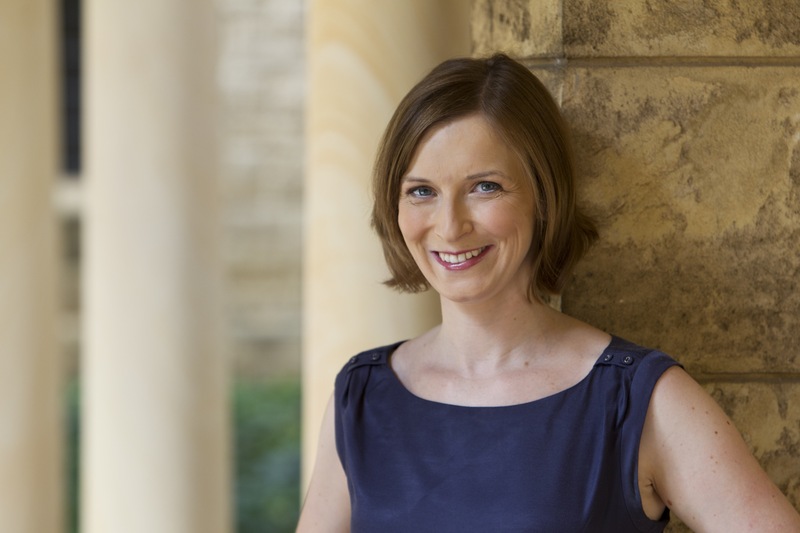 Dawn Barker is a child and adolescent psychiatric expert. She’s also a writer and a friend of mine. We’re both intrigued by the workings of the mind and feel deeply for those who suffer from mental illness and those who love them. 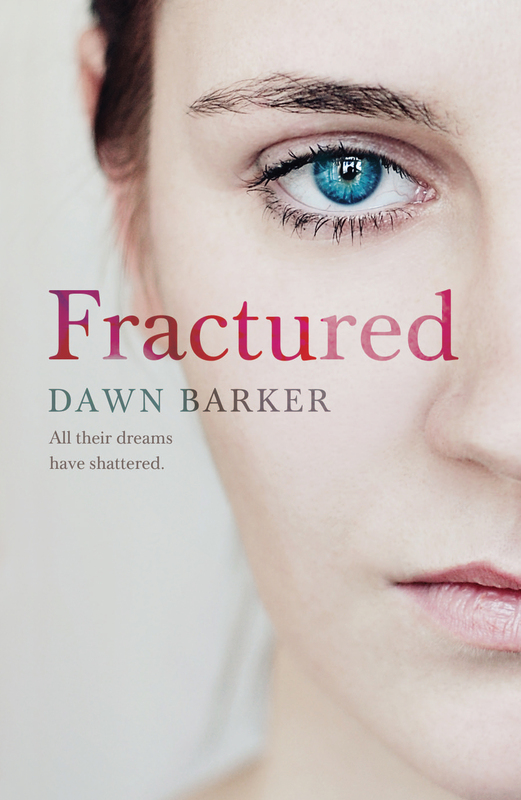 Dawn’s new book Fractured weaves a suspenseful tale about a young woman suffering post-natal depression. It’s just been released by Hachette Australia and I can’t wait to read it. I’ve done some research about the link between cannabis use and schizophrenia, but I’m no expert, so I asked Dawn to write an article detailing the most recent findings. Please use the comments section to ask Dawn any questions you may have. I will be! 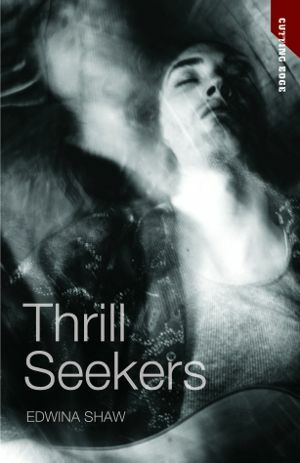 In Thrill Seekers, we meet a group of adolescents who – like many teenagers − use drugs recreationally. One of the main characters, Douggie, then becomes psychotic and develops schizophrenia. Many of us know a friend or family member who’s had a similar illness after drug use and are left wondering: what is the relationship between drug use and psychosis? Psychosis refers to a group of symptoms mainly characterized by hallucinations and delusions. Hallucinations are abnormal sensory perceptions: hearing, seeing, tasting, feeling or smelling something that isn’t actually there. The sufferer might hear voices talking about them, feel insects crawling on their skin, or see faces on the wall. Delusions are abnormal, false beliefs that are held with unshakeable conviction. A deluded person may believe that they are someone special, that they are being followed, or are guilty of something terrible. A psychotic person’s speech can be difficult to follow as their thoughts are disordered, and they lose insight, that is, they are not aware that their beliefs or sensations are abnormal. This can make it very difficult to persuade a patient to seek help and accept treatment. Most people think of schizophrenia when they think of psychosis, but that’s not necessarily the case: psychotic symptoms can occur briefly and transiently (when using drugs, or when medically unwell), or can occur as part of another psychiatric illness such as depression or bipolar disorder. If the symptoms aren’t secondary to anything and become chronic and disabling, the diagnosis changes to schizophrenia. There is no doubt that drugs can cause psychosis. Some drugs – the hallucinogens like LSD and ‘magic mushrooms’ – are used to deliberately alter sensory perceptions. However, psychosis is often an unwanted reaction. As a psychiatrist, I’ve seen hundreds of patients brought into emergency departments − often by the police − with distressing, acute psychosis after abusing drugs such as amphetamines, cocaine or cannabis. Thankfully, most of these patients recover when the drug is out of their system after a few hours or days – we call this a substance-induced psychosis. What is more worrying is the patient whose psychosis persists even after the acute effects of the drug have worn off. Some of these patients are eventually diagnosed with schizophrenia. Are drugs responsible for this? The relationship between illicit drug use – particularly cannabis – and schizophrenia is a controversial one. Many patients with schizophrenia have used drugs, but many have not. And of course, the majority of people who use cannabis don’t develop schizophrenia. We know that people with a psychotic illness have a higher rate of cannabis use than the general population, but this could be explained by them being drawn to drug use as a way to cope with their symptoms. If you have a psychotic illness and used cannabis in adolescence, you develop the illness 2-3 years earlier than those who didn’t use cannabis. This is significant, as we know that an earlier age of onset is associated with a poorer outcome. Using cannabis in adolescence makes you up to twice as likely to be diagnosed with schizophrenia in adulthood, and this is a dose effect: the more you use, the more likely the diagnosis is. Using the drug at a younger age is most risky: cannabis use at the age of 15, but not age 18, is associated with the higher rates of schizophrenia. It’s possible that one of the chemicals released in the brain when using cannabis, dopamine, is the culprit. We use drugs that block dopamine to treat schizophrenia. Cannabis use comes before psychotic symptoms appear, rather than the illness leading to more drug use. Some people have a gene that, if present, appears to interact with adolescent cannabis use to cause psychosis. Thankfully, schizophrenia is rare, occurring in approximately 1% of the population. Cannabis use in adolescence is just one of several factors that interact to cause the illness, but it’s a significant factor that, if taken out of the equation, could reduce the rates of schizophrenia by 8%. It’s unrealistic to expect young people to stop using cannabis completely. But we need to understand that its use in the teenage years does increase the risk of developing schizophrenia and we have no way of knowing which young person will be affected. As anyone who has suffered from – or watched someone go through − this illness will agree with, preventing even one case would make a huge difference to many lives. Large M et al. Cannabis use and earlier onset of psychosis: a systematic meta-analysis. (2011). Arch Gen Psychiatry 68(6):555-61. Hi Dawn, the rate of developing schizophrenia with Matty and his friends was about 90%.That is why I’m interested in studies about very young adolescents using cannabis – they were 12 some even younger when they started smoking heavily. What do you think about this? I’m sorry to hear about your brother and his friends. It must be scary to watch so many young people become so very unwell. There’s a Scottish Professor of Psychiatry, Robin Murray, who’s done a lot of work in this area. The generally accepted rate of schizophrenia in the population as a whole is 1%. Prof Murray has said that using cannabis in adolescence doubles your risk of schizophrenia, but if you use ‘skunk’ (which has a much higher THC – the active chemical in cannabis – concentration) your risk may be four times as high (i.e. 4%). In medicine we can really only draw safe conclusions from large, well-deisgned studies, and from these, the accepted figure is that using cannabis in adolescence doubles your risk of schizophrenia. These figures are based on studies from New Zealand which have followed up large numbers of children since birth. This doubling of the risk occurs when young people report regular cannabis use at the age of 15. However, if it’s not used regularly until age 18, there’s no increased risk of schizophrenia. These are the only two ages that have been studied as far as I can see – though it’d be interesting to look at the risk in the very young, like your brother and his friends. The increased risk is definitely something to do with the effect of cannabis on the adolescent – not adult – brain. It certainly wouldn’t be surprising if cannabis’s effect on a child’s brain is potentially more potent. Thanks Dawn. Best if everyone just plays it safe and stays clear till they’re at least 18, I reckon. And don’t blow out the young kids. It’s not funny! This is a very good article and I agree with a lot of it it. Each time I’ve been hospitalised I’ve somehow ended up befriending people with schizophrenia and feel for them deeply, often wishing they could see hope outside of becoming institutionalised due to recurring symptoms but can never offer any substantial hope for them in that I don’t have a solution for their persisting symptoms. Having said that, I consider myself very lucky to have experienced an acute psychotic episode. The long term problems in the lead up to this episode, subsequent fear, destructive behaviour and huge upheavel which is inevitable with a psychotic episode was completely worthwhile because it didn’t just stop me from using drugs, it scared me into changing my life completely and i’m now happier than ever. I’m not sure that would have happened if I had just attempted to give up drugs for the good of my health because I think each time things got more difficult for me I would have gone back to using drugs. It’s very tricky. Essentially I think if you can stop even one person from “unlocking” schizophrenia through drug use then the obliteration of all street drugs would be worthwhile. It can’t be overlooked that drug use is often just a symptom of something else, especially unhappiness, and in that respect it’s easier to identify if somebody needs support if they’re using drugs. After a psychotic episode they’re more likely to get support too, so it can be perversely beneficial. thanks for uploading, this one is useful article..